The Breastest News: Giveaway: Swimshop Goodies! Recent studies show 57% of children age 7-11 do not know how to swim. This is astonishing since under the national curriculum all schools are required to teach children to swim a distance of 25 metres confidently using a range of strokes so that they can safely rescue themselves from drowning. It is estimated that children require at least 25 hours of lessons to swim confidently a distance of 25 metres. Primary schools are offered 18 hours of swimming lessons per child a year, way below the recommended hours. If hours were raised to 25 across all primary schools as standard the number of children who can swim would rise by 200,000. Many schools are unaware of their student’s ability to swim. The Amateur Swimming Association (ASA) suggest that swimming should come under the physical education budget and be taught as a requirement much like any other subject. As well as a lifesaving skill the ability to swim has vast health benefits and is one of the few sports you can continues to partake in into old age. 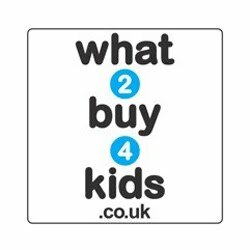 Swimshop, online swim costumes and swim aids supplier, are offering 3 lucky readers the chance to win a set of WIN deluxe armbands and a WIN fun fish float – with a choice of Steve Sharky or Polly Pink Fish. Perfect for parents helping their children to swim. As well as this wonderful prize we are offering all readers a PDF download of fun swimming games you can enjoy with your children to make them feel more confident in the water. These are also handy workouts for adults. The Learn to Swim campaign sponsors Swimshop, swimming costumes and equipment online. So what are you waiting for!? 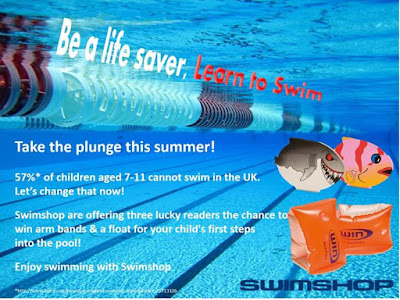 To be in with a chance of winning a set of arm bands and a fish float enter via the rafflecopter widget below. 91 comments on "Giveaway: Swimshop Goodies!" Polly pink fish! Fingers crossed! Steve Sharky! He's too cool!